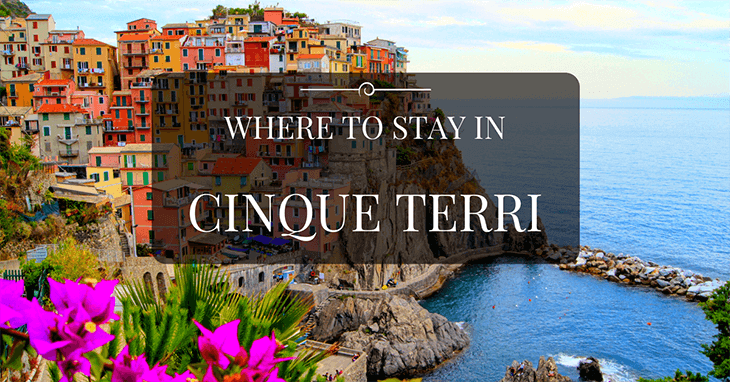 Deciding where to go is one thing, but you might be thinking of where to stay in Cinque Terre. Let’s check this out in a bit more detail, and help give you an overview on where you might like to base yourself. Located in the Liguria region of Italy you will find UNESCO World Heritage listed Cinque Terre. It is known locally as ‘five lands’ because it is made up of five small villages, and all have them have subtle differences. For this reason, you need to know where to stay in Cinque Terre, in order to find the best village for you. 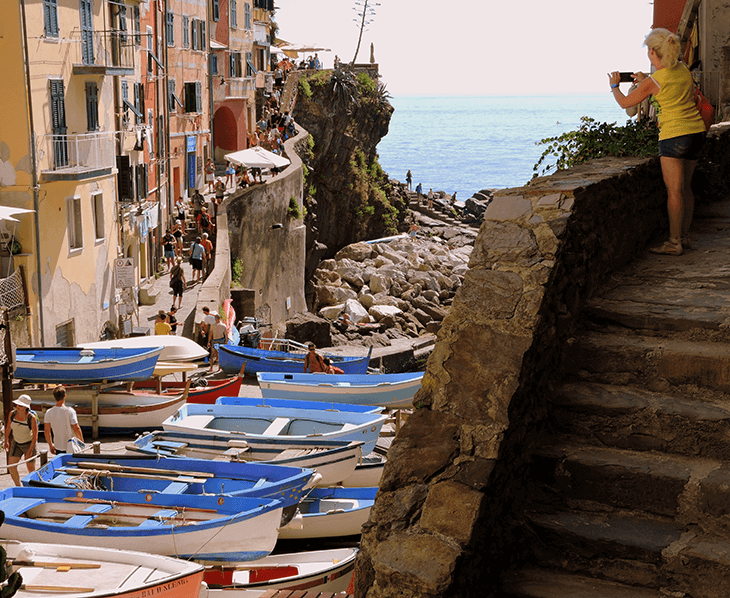 The villages are: Riomaggiore, Manarola, Corniglia, ​Vernazza, Monterosso. The nearest airports to this region are Pisa, Genova or Firenze. Milan is around two hours away by train, so it’s not difficult to arrive here by any means. Walking is the main activity in this region, and some of the coastal trails are known as the best in Europe. To walk around you need to purchase a pass, which is around 7.50 Euros currently – quite the bargain! These passes are available from any of the local information offices in the villages. And remember bring your best walking shoes to enjoy these beautiful sceneries. 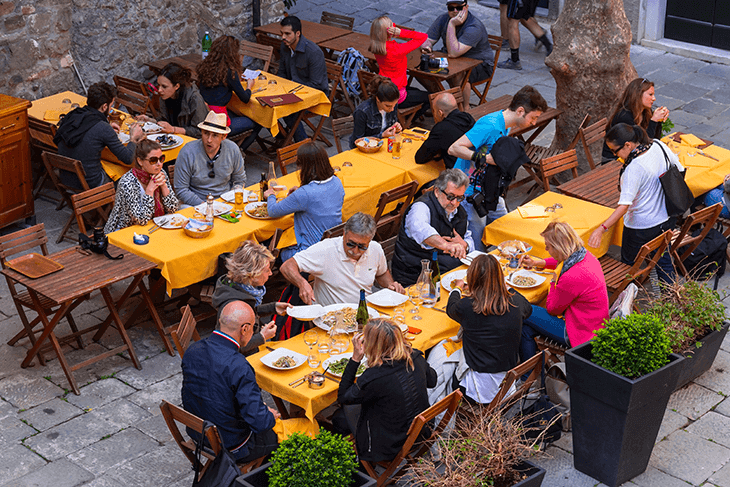 In terms of knowing where to stay in Cinque Terre, you really need to know about the villages themselves, and compare that to your personal interests. If you’re after a more resort-type of holiday, e.g. 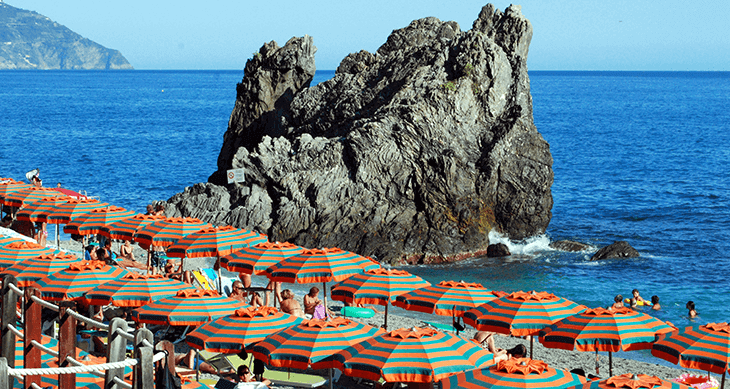 sun, sand, and large hotels, then Monterosso is the best place for you to stay in. This is where you will find the largest choice of accommodation and tourist facilities, but it is also within easy reach on foot to the other four villages on the coast. 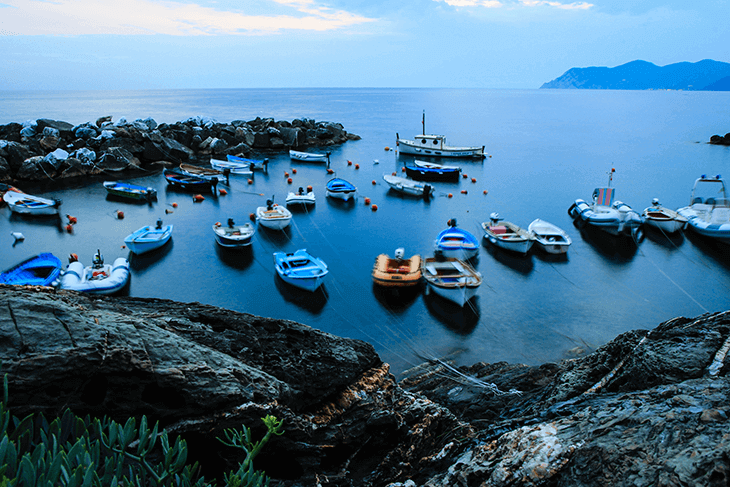 If you are visiting Cinque Terre to really take in the natural landscapes and get out into the fresh air, then Riomaggiore is the place for you. This is basically centrally located, so in either direction you’re never too far away from somewhere beautiful and picturesque, with Manarola just two hours away on foot. If you’re not so great on your feet however, be warned that the trails around here are quite steep; if you are able to walk around to your heart’s content however, be sure to head down to the small marina, and check out the amazing views. We mentioned Manarola, and this is the best place to stay if you really want to get away from it all and stay somewhere totally serene and quiet. Most visitors to Manarola are just passing through on foot, so you’re sure to enjoy the beach space and serenity of the landscapes. Art lovers will love this particular village too, with an interesting art gallery to while away a few hours in. Finally, we have Vernazza. If you are a keen photographer, or landscapes are your thing, this is the village for you. The harbour is the only actual working harbour amongst all of the five villages, and the castle which overlooks the village is fantastic for a visit. On a side note, if you love natural produce, the villagers claims that their locally produced olive oil is some of the best you will find anywhere in the Med! As you can see, where to stay in Cinque Terre is really a personal deal. The villages all have something subtly different about them, and that makes them suitable for different interests and needs. Perhaps the most notable point is that some are easier to reach than others, in terms of the landscape, so this is something you need to take into account if you have mobility issues, with Corniglia and Riomaggiore being a little more difficult to reach. Wherever you stay however, you’re sure to fill up that camera memory card with some breath-taking views! 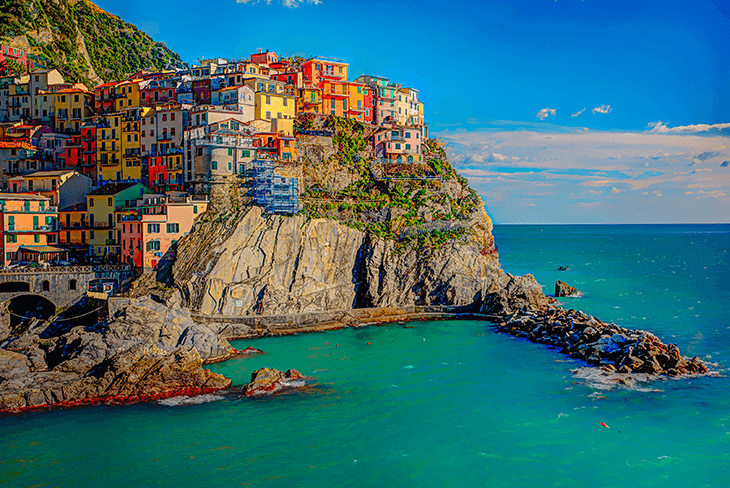 Have you been to beautiful Cinque Terre before? If so, comment below and let us know what you thought of it and where you stayed!